Successful author Amy Slater had a life in need of mending. And Jed Glaze proved to be the right man for the job after the pair hit it off as fabulously good friends. Then one day Jed shows up with a mysterious injury of his own—and suddenly dark, confounding, yet utterly irresistible Jed becomes a lot more than “just a friend”. Now it’s a time for not only mutual healing and delightfully sensuous nights but for sharing secrets that could prove a little dangerous for them both. 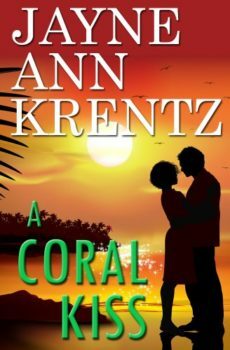 On a jaunt to a Pacific island paradise, Amy and Jed will unearth the key to the unsolved murder that has haunted Amy’s nights—and discover how surprisingly and exquisitely fated two seemingly mismatched hearts can be. Originally published April 1987 by Popular Library/Warner.